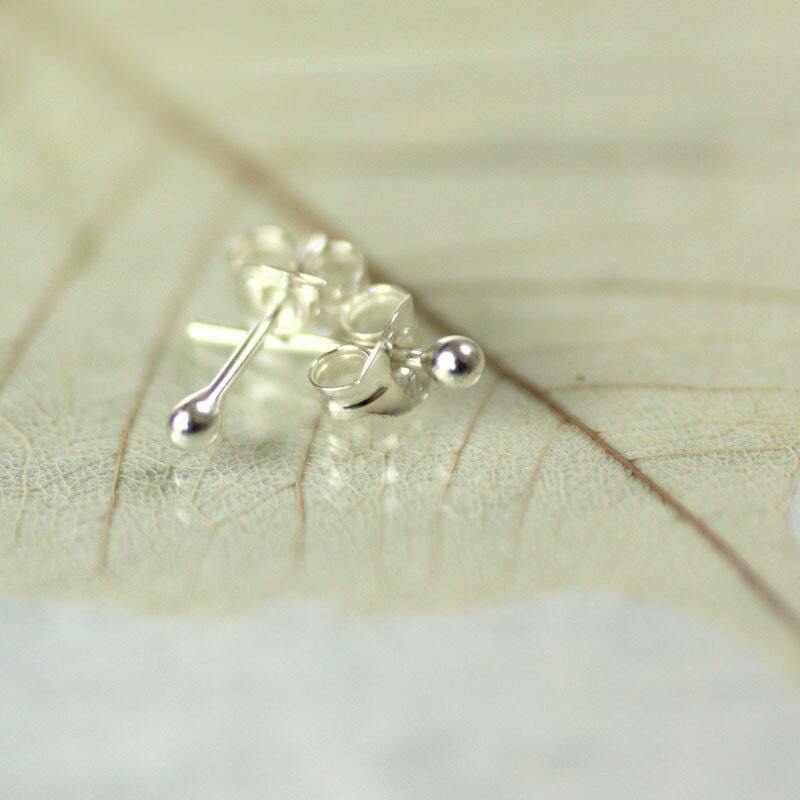 Simple handmade sterling silver studs. 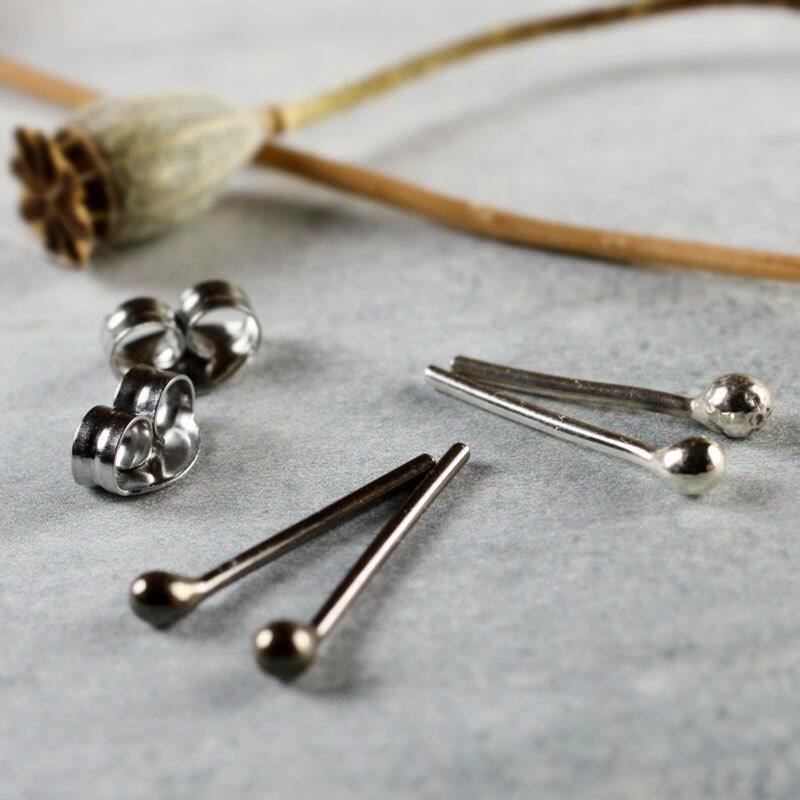 Just the smallest of silver globes for your lobes. 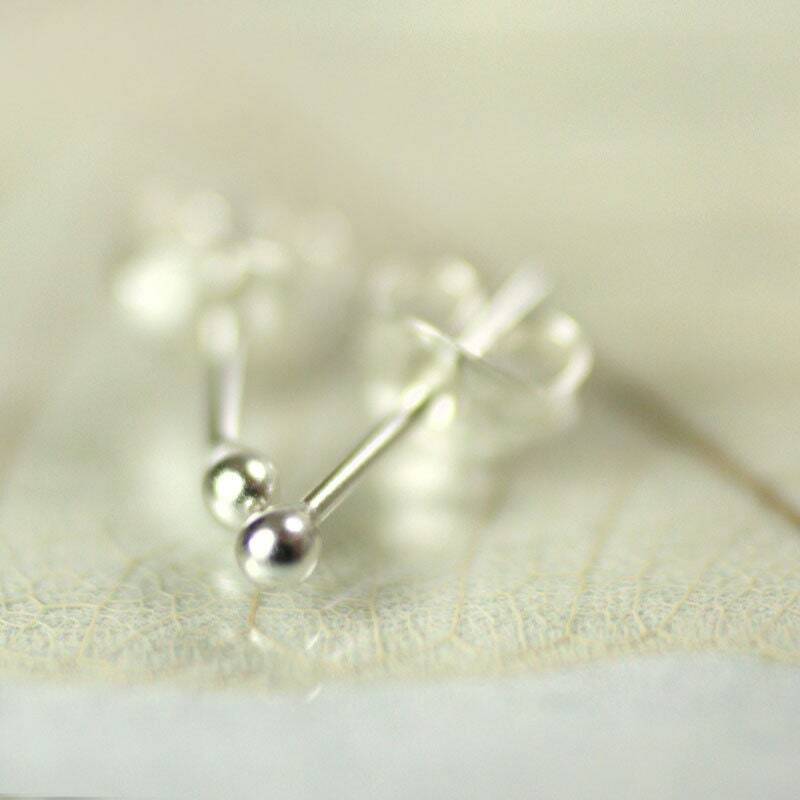 They are gorgeous and handmade with lots of character. 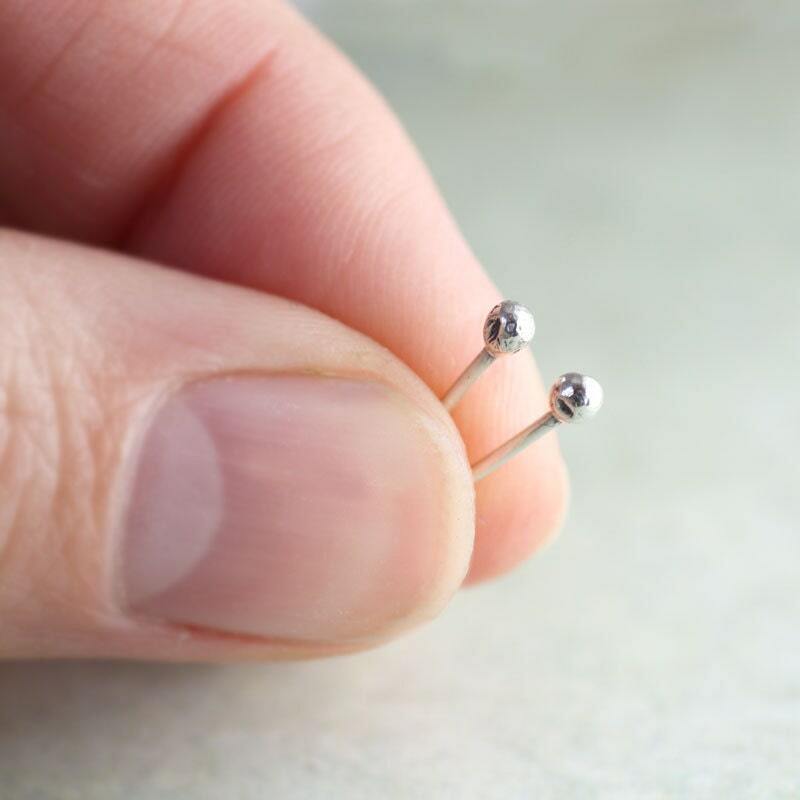 This listing is for one pair of sterling silver ball studs. They are made by torching a 0.8 mm piece of wire in a very hot flame till the end melts and curls up in a little ball. 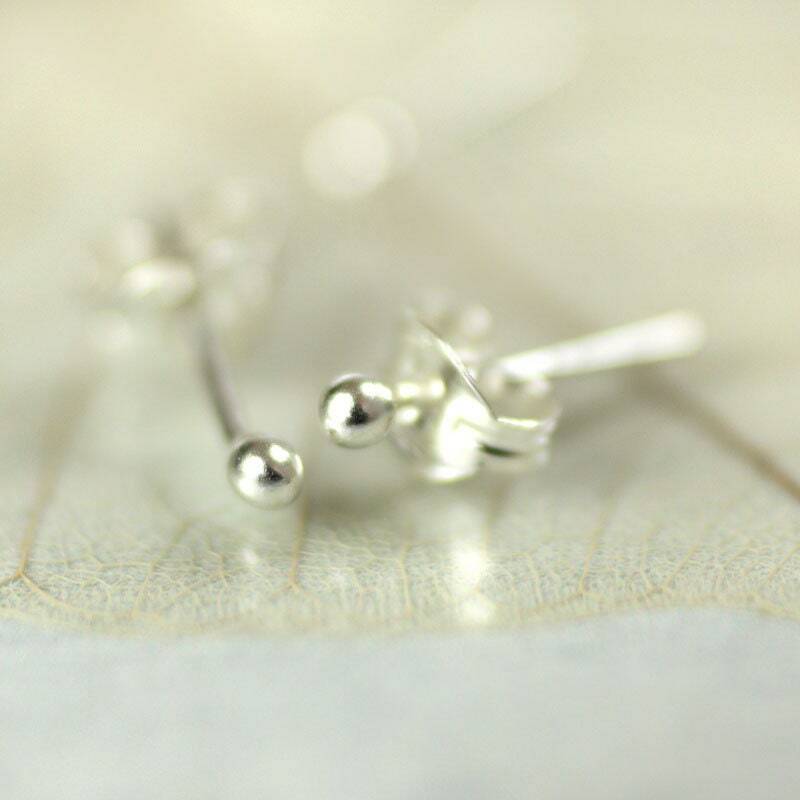 You can choose between bright silver and oxidised silver. Both are shown in the photos. 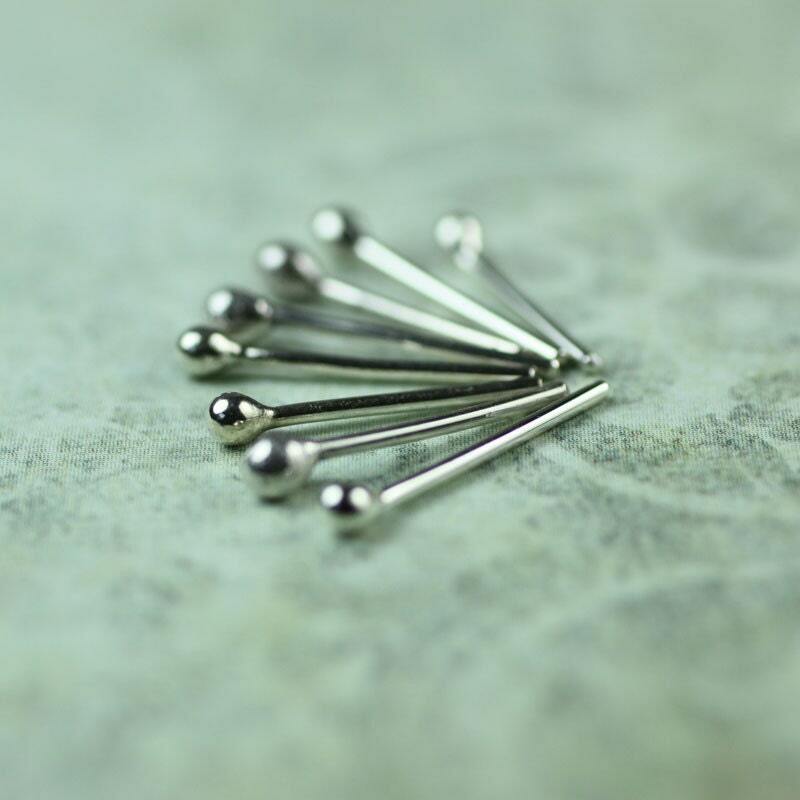 The balls on the posts are just 2 mm in diameter and the scroll backs are made from bright sterling silver. Also let me know if you want the posts extra short. 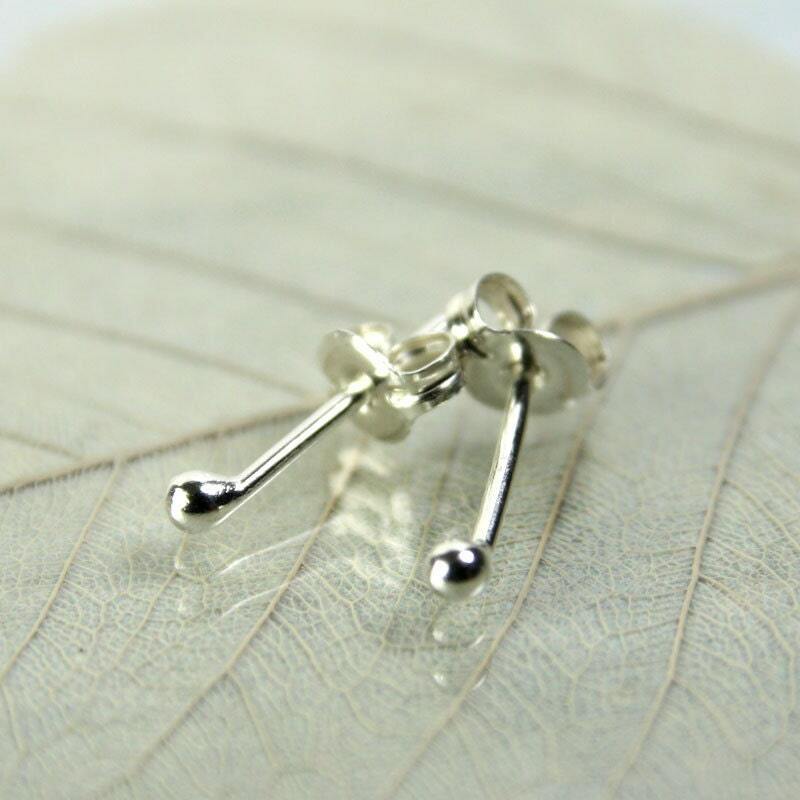 It makes them more comfortable to have on when sleeping if you have small earlobes. 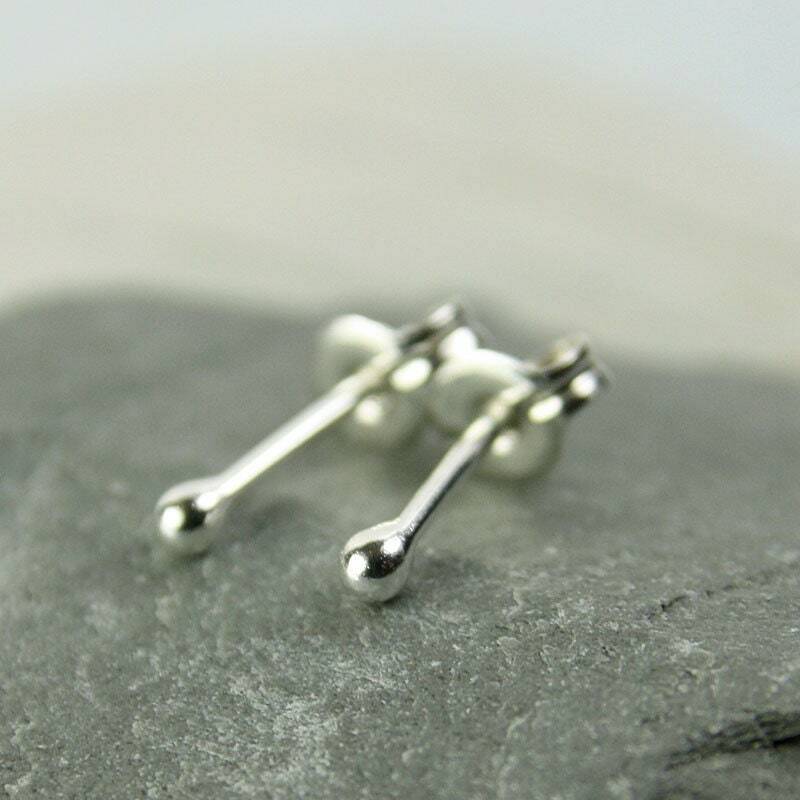 I use Argentium sterling silver which contains 92.5 % fine silver. The remaining 7.5% is copper and germanium. That's it. 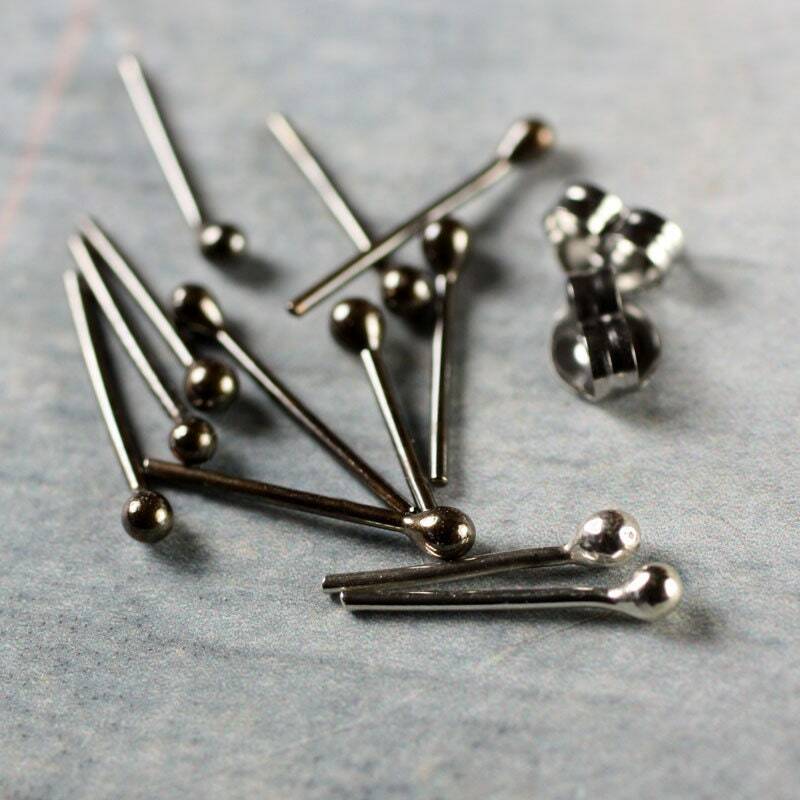 * Posts are 10 mm long - can be cut down to 6 mm for extra comfort. * Scroll backs are commercially made from sterling silver. Everything A-OK! Personable contact and quality finish. Fast shipping.